ï¿½ Take caution when using the undo feature. terrainName.alpha ï¿½ A file that contains the texture painting values at the heightfield resolution. New to Radiant is the ability to use and create Browse groups ï¿½ the purpose of which is to more efficiently organize assets used for the different missions. After you start Radiant for the first time, you will enter in your Radiant Preferences much as before.ï¿½ After that, you will see the Project Setting Dialogue.ï¿½ Here you can now add new browse groups, remove existing ones, or change the directory that the browse group points to. Once you enter Radiant, there is a new Browse menu command, which you can use to load in groups of assets designed for each mission. Texturing has also been changed significantly and allows the user much more flexibility and removes many of the rigid constraints involved with applying textures on terrain in the past. 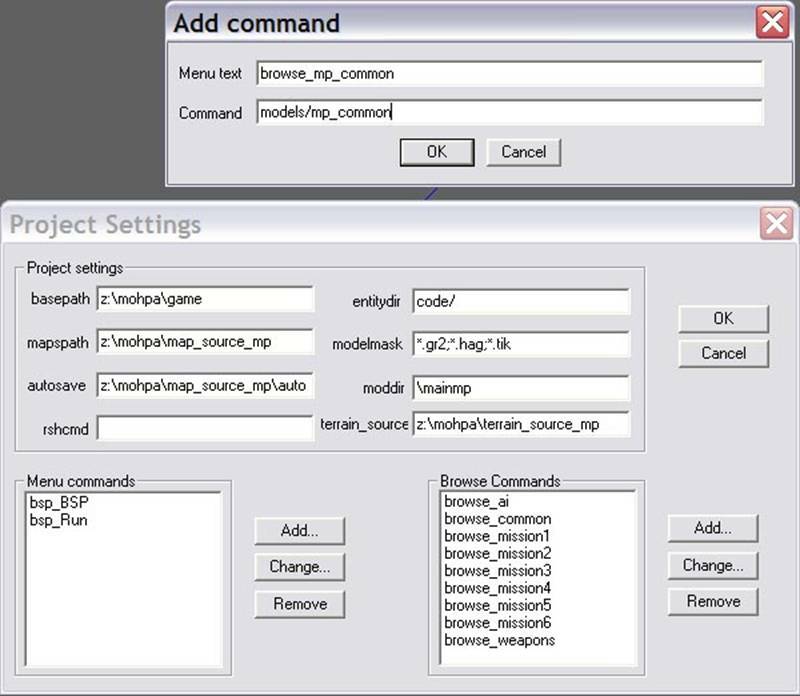 To enter terrain editing mode, hit Ctrl+Alt+T, or choose Edit->Terrain Mode from the menu.ï¿½ This will bring up the terrain editing toolbox, and remaps a few keys to terrain-specific operations. Brush Type ï¿½ Select different terrain operations to modify the appearance of your terrain with the cursor. Initially you will see just the base material of the terrain, which has been given the name Material 0.ï¿½ To add new materials to paint on your terrain, click the Add button to create a new material, then choose a Texture in the Material Settings.ï¿½ Except for the base, Materials can be removed from the palette and your terrain here as well. Texture ï¿½ Use this to change the texture used for your material layer.ï¿½ You can also click the button with the ellipsis (ï¿½) to access another folder containing custom terrain textures.ï¿½ These textures must be in .tga format to be used by Radiant. Collision - You can also adjust the Collision type of the highlighted material.ï¿½ This will determine the sounds that the terrain will make when walked upon or shot, as well as determine the type of particles it will spawn when bullets strike it. 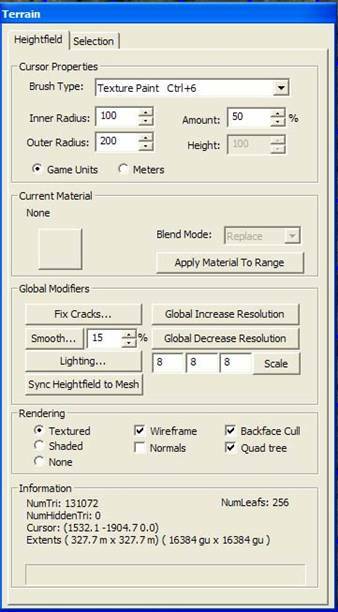 Texture Scale ï¿½ this will adjust the scaling of the material texture across your terrain. 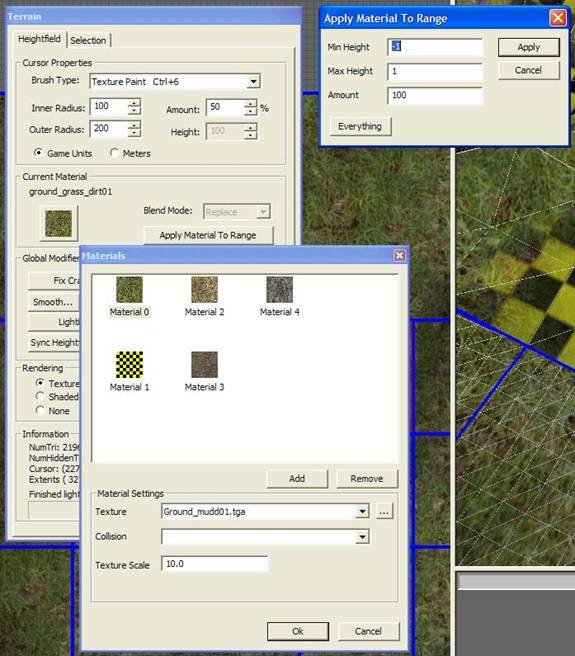 Apply Material to Range ï¿½ this powerful function will allow you to quickly paint a specific material across your whole terrain based on height.ï¿½ You input a minimum and maximum height, then specify the amount (which is the opacity of the applied material).ï¿½ This is a great way to quickly apply muddy riverbed textures on the lower parts of terrain, grass in the middle latitude, and rock or snow on peaks and mountains.ï¿½ Also, by clicking the Everything button, you can quickly apply a single material to your entire terrain. ï¿½ï¿½ï¿½ï¿½ï¿½ï¿½ï¿½ï¿½ï¿½ï¿½ï¿½ Blend modes modify how cut or copied sections of the terrain are reapplied when they are pasted onto the terrain. Subtractive ï¿½ this will paste the inverse of the selection onto the terrain.ï¿½ So if you had a cut or copied a small bump and placed it on a flat surface, it would created an depression.ï¿½ Conversely, if you cut or copied a dent, it would create a bump when placed. Blend - This will sum the height value of the terrain with the height value of the selection proportional to the value of the Amount field. ï¿½ï¿½ï¿½ï¿½ï¿½ï¿½ï¿½ï¿½ï¿½ï¿½ï¿½ Although the new terrain system is powerful, it does have limitations.ï¿½ Within a quad, you can only have 3 textures applied at once.ï¿½ The terrain editor is designed to not allow you to paint in excess of this limit. First, create a terrain and add several materials to your palette.ï¿½ Now, select one of your materials other than Material 0.ï¿½ If you attempt to paint it onto a quad, youï¿½ll see a red texture, meaning that the material is locked out from the quad.ï¿½ In order to paint the material, you have to enable it for that quad.ï¿½ This can be done by holding down SHIFT+RIGHT CLICK, which brings up a small list displaying all of the materials in your level palette.ï¿½ A check mark next to the material means it has been enabled in the current quad.ï¿½ Place a check mark next to your selected material and start painting. ï¿½ï¿½ï¿½ï¿½ï¿½ï¿½ï¿½ï¿½ï¿½ï¿½ï¿½ Note, you can also use this same method to disable materials from a quad.ï¿½ Keep in mind, however, that the texture data is still there, just not displayed (verify this by disabling a quadï¿½s material then reenabling it).ï¿½ In order to truly removed texture data from a quad, youï¿½ll need to use Texture Unpaint. 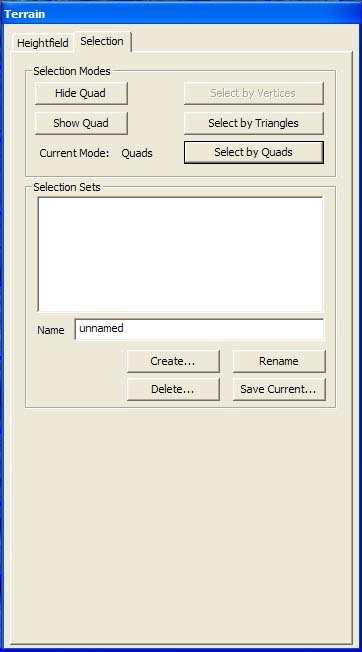 Fix Cracks ï¿½ As the resolutions of individual quads are raised and lowered, discrepancies in the resolutions of adjacent quads cause gaps or cracks to appear.ï¿½ Hitting this button will automatically modify height values along quad borders to stitch these gaps up. 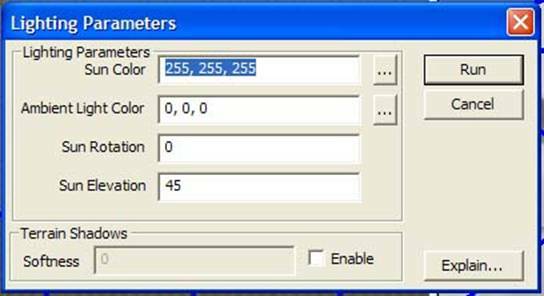 Sun Color ï¿½ the RGB values representing the color of the global sunlight.ï¿½ Hit the ellipsis button (ï¿½) to bring up a color picker dialogue. Ambient Light Color - the RGB values representing the color of the ambient light.ï¿½ Hit the ellipsis button (ï¿½) to bring up a color picker dialogue. Sun Elevation ï¿½ how high (in degrees) above the horizon the sun is pointing (not where the sunlight is coming from).ï¿½ A value of 0 means the sunlight is pointing north, which is oriented to the right when you are looking at your terrain from the top view. Cancel ï¿½ close the window. Sync Heightfield to Mesh ï¿½ just like the cursor brush type, this will discard the high resolution heightmap data used to define the entire terrain and replace it with data at the resolution actually displayed in the editor. On the toolbar, there is a new button called Terrain in 2D.ï¿½ It looks like this. Now you can adjust the range in which you want objects to be clipped out by using the hotkeys SHIFT + pressing [ to decrease the radius or ] to increase the radius. MOHRadiant now supports collision previewing, which allows the user to view collision attached to models used in your level.ï¿½ To enable this option, go to the toolbar and hit the View Collision button. Static model collision will appear as green in the 3D Preview window, and models which have physic attributes attached to them will have gray collision. ï¿½ï¿½ï¿½ï¿½ï¿½ï¿½ï¿½ï¿½ï¿½ï¿½ï¿½ The Selection tab of the Terrain Editor allows the user to hide and subsequently show individual polygons of the terrain. Hide Quad ï¿½ This will hide polygons, creating holes in your terrain.ï¿½ Only works when polys are selected in Quad Mode. Show Quad - This will show previously hidden polygons, which can still be selected with SHIFT+Left Mouse Button.ï¿½ Only works when hidden polys are selected in Quad Mode. 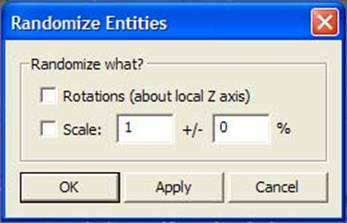 Select by Triangles ï¿½ This will select individual polygons and the 3 vertices that define them.ï¿½ Not currently particularly useful as Hide and Show Quad will not work with polys selected using this method. Select by Quads ï¿½ This selects pairs of polys and the 4 vertices that define them. First, select an area of polys in either the 2D or 3D views using SHIFT + Left Mouse Button.ï¿½ Then, enter a name in the text field and click Create.ï¿½ This will create a small piece of terrain, called a stamp, in the maximum rectangular dimensions of the vertices you have selected. ï¿½Move the mouse back to your terrain then select the Paste brushtype - youï¿½ll see your terrain cursor along with a red rectangle in the shape of your stamp.ï¿½ Apply the stamp to the terrain by clicking the left mouse button. ï¿½ï¿½ï¿½ï¿½ï¿½ï¿½ï¿½ï¿½ï¿½ï¿½ï¿½ You can create as many stamps as you like as they are persistent and associated with your mapfile, allowing you to create and maintain a palette of terrain shapes for future use.ï¿½ However, stamps can only be applied additively. Any terrain alteration can be undone by selecting Edit->Undo Terrain Operation or pressing CTRL+SHIFT+Z. (you can also find these commands listed in the Help->Commands list). ï¿½ï¿½ï¿½ï¿½ï¿½ï¿½ï¿½ï¿½ï¿½ï¿½ï¿½ By holding down ALT + Left Mouse Button and dragging the mouse, you can now box select brushes, entities, and objects in the 2D view.ï¿½ This replaces the slightly more inconvenient means of selecting multiple entities in older versions of Radiant, which required you to create a brush as your bounding box, then choose a Selection function like Select Complete Tall, etc..ï¿½ Although this new selection tool functions just like Select Complete Tool, users can still use brushes and the old selection commands if they desire. Eventually your level will be filled many-many models, and depending on how you placed those models, it can be hard to navigate and select certain models.ï¿½ To help you manage your models, it is advised you make use of the (H) Hide and (SHIFT+H) Unhide feature, which will allow you to select an object and hide it from view until you need it again.ï¿½ Additionally, you can use the (J) hotkey to remove the bounding box for each object in your level, which can greatly improve your visibility if you have a lot of models selected. Regions are an important tool to learn and use early on. Whether you isolate off a single object, or half a map, youï¿½ll wonder how you ever got along without this tool in other editing programs. The selections on the Region Menu allow the user to isolate, and work on, a subset of the map. There are innumerable benefits to working in a ï¿½regionedï¿½ area of the map.ï¿½ It allows you to work with a few map components at a time, without the distraction of the rest of the map pieces. There are several ways to select a region, by a group selection, by XY map window dimensions (or the corresponding view in YZ and XZ), or by a few selected map components. This returns you back to the full map. Any map components that are inside, or that are touched by the bounds of the XY Map window are converted into a region. The size or shape of the window does not matter. This is an excellent way to select are larger subset of your map, such as a complex room or group of rooms. Any objects selected before regioning the map remain selected. This functions in a similar manner to the group selection command, Select Partial Tall. Any map components contained within the XY bounds, or touching the XY bounds of the brush will be regioned off. The selecting brush itself is discarded. If you need to work with just a few objects, this is the option to choose. Select the objects to be worked upon then select this option. Only those objects are moved to the region. The selected objects are unselected when the region is created. *G ï¿½ Create Group - Allows to create a group and give it a name.ï¿½ Note that this will not automatically create a group from selected entities, you must add them manually to the group. -O ï¿½ Remove Object from Group ï¿½ Removes selected objects from the highlighted group.ï¿½ If the objects are a member of more than one group, they will only be removed from the first one in the list. Lock ï¿½ This will prevent a selected entity from being moved.ï¿½ Other parameters of the entity can be edited in the entity window. Randomize Entities ï¿½ This new function is very useful for making vegetation look random and non-uniform. Toggle Terrain Align on Entity ï¿½ Entities can also align themselves with the normals of a terrain poly.ï¿½ Use this if you want vegetation or other assets to grow out of the terrain, not necessarily up or down. Add Current Selection to Named Group ï¿½ Brings up a dialogue to select which of your groups you want to add the selected objects to when you click OK.ï¿½ You can also click Add/Create to create a new group and add your selected object to it. Delete Named Group ï¿½ This will allow you to choose a selection group and delete it. ï¿½ï¿½ï¿½ï¿½ï¿½ï¿½ï¿½ï¿½ï¿½ï¿½ï¿½ The Scatter Tool is another new feature of Radiant that allows designers to use a Photoshop file (.PSD) to literally paint layers of vegetation onto the terrain.ï¿½ The alpha channels of the layers in Photoshop determines how dense the vegetation is.ï¿½ Different rules can also be applied to the layers to define how the layers are applied relative to one another.ï¿½ For example, the grass layer can be adjusted so that it only paints grass objects close to objects in the tree layer, and so forth.ï¿½ Using this tool can be a very useful way of applying vegetation over a large area quickly. First you need to generate a snapshot of the map that need to be scattered. In Radiant, with map open, select menu ï¿½file->Reference Snapshotï¿½. This will generate a snapshot of the top view of the map and ask for saving to a ï¿½.tgaï¿½ file. Make sure the terrain texture is enabled by clicking the ï¿½Ter in 2dï¿½ button on the toolbar. Then you open the snapshot file with Photoshop. For each group of models, you create a layer, give it a proper name like ï¿½treesï¿½, ï¿½rocksï¿½ etc. Then you paint in that layer. The image in that layer will later be used as the density map by the scatter. The actual color doesnï¿½t matter, the scatter tool only care about the alpha channel. The area with less transparency will result denser objects in the map. You may use some filters to generate a smooth gradient from different alpha areas. After painting the dense image to all the layers, save the file as a ï¿½.psdï¿½ file. 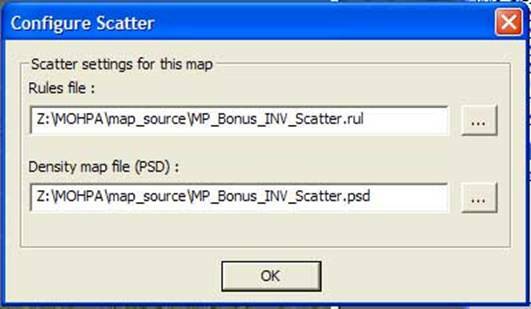 The rules file and the density map file controls how the scatter tool put the models in the map. Set the ï¿½rules fileï¿½ field with whatever rule file (ï¿½.rulï¿½) you need.ï¿½ If you do not have a rules file for this map, then entering the name of a file which does not exist will force scatter to create a new ï¿½emptyï¿½ rules file. If you have loaded in a new rule, or you want to do some changes to the rule, click the ï¿½Edit rulesï¿½ button. It will bring in this dialog box. One rule file contains multiple rules with different name. Use the pull down menu to choose which rule you want to edit, or create new rules, or delete the current rule. Layer name: Is the layer you put in the density map with Photoshop.ï¿½ When a rule is executed, it uses this exact name to look up the correct layer in Photoshop.ï¿½ The layer name is case sensitive, so the layer name here MUST exactly match the layer name in Photoshop. Distribution: There are three options: none, square, and hexagon. If set this to square or hexagon, the objects will distribute regularly in square shape or hexagon shape. The distance between adjacent objects will be ï¿½Exclusion minï¿½ value (see below). 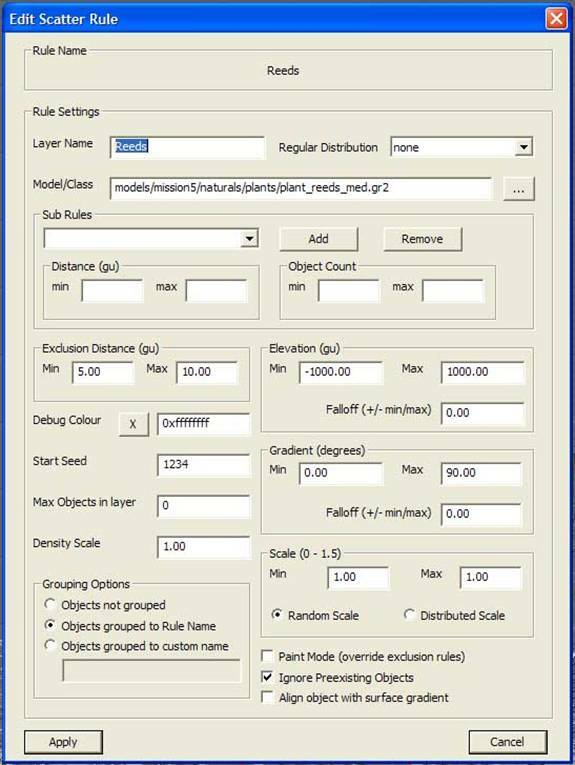 This option was designed for scattering path nodes, but can be used for other model/class as well.ï¿½ ï¿½Noneï¿½ works best for distributing vegetation. Exclusion Distance: This controls the valid distance between instances of a scattered model in the map. For example, with the min set to 1, max set to 2, each model will be at least 1 units away from any other models and be within 2 unites to at least one model. Scale:ï¿½ This will allow the user to specify a range of scaling values to apply to scattered entities in the rule.ï¿½ Distributed scale differs from random scale in that it is based on a Gaussian function.ï¿½ If it is used, there will be more entities with a scale closer to the middle of the range than entities with a scale close to the minimum and maximum values of the range.ï¿½ With Random Scale, the possibilities of getting entities with scale values close to the minimum, middle, and maximum is about the same. After you configure the scatter tool, you can run the scatter tool by selecting menu ï¿½Scatter->Run Scatter Toolï¿½. This will actually generate the models based on the rules. Or you can select menu ï¿½Scatter->Run Scatter Tool (Selected rules)ï¿½ to select one or more rule from the rule list. Depending on the set up, the running will take several seconds to a minute. In the area with elevation between inner min and inner max, the models distribute with full density; in the area with elevation between outer min and inner min or between inner max and outer max, the models distribute with density various from 0 to full density. Gradient: Similar to the elevation but the values applyï¿½ï¿½ to the gradient of the terrain.ï¿½ï¿½ These values are measured in degrees. Debug color:ï¿½ This is used for debugging purposes, and its use is not required. Start seed: If you are not satisfied with the result of previous running of scatter tool, change this number to any other integer numbers. The scatter tool will then generate the models with another set of random numbers. Density Scale:ï¿½ The density scale setting is a mechanism for manually scaling the density of scattered objects, without having to modify the density map. Light weight entity: Not implemented yet. Ignore Preexisting objects: If set, scatter tool will ignore the committed objects when scattering new objects. Be sure to alternate the random seeds if you set this option otherwise two groups of the scattered objects will overlap completely. Scatter units per game unit:ï¿½ Scatter always deals with measurements in meters (except for gradients, which are measured in degrees).ï¿½ This field is a scale value for manually converting map measurement units into meters. ï¿½ï¿½ï¿½ï¿½ï¿½ï¿½ï¿½ï¿½ï¿½ï¿½ï¿½ Sub rules are a way of scattering entities in relation to other scattered entities.ï¿½ This is useful, for example, when you want to put some small bushes around a tree, or whenever you want to mask the seam where a rock meets the terrain with low tufts of grass.ï¿½ In order to set it up, you need to first create your parent rule, then the sub rule.ï¿½ Both rules will reference the same layer in your .PSD file. To set up the sub rule, select the rule of the parent objects, then click Add under the Sub Rule header to choose which of the rules youï¿½ve created will be your subrule.ï¿½ The distance parameters under the Subrule header of your parent rule will determine the minimum and maximum distances that the children will be from the parent, not from other children (that value can be determined in the Exclusion Distance parameter of the subrule). Scattered objects are designed to be easily grouped into Selection Sets. Commit selected entities: Commit the entities so they wonï¿½t be removed later by scatter tool. The scatter tool removes all the uncommitted entities before it generate new set of entities. ï¿½ï¿½ï¿½ï¿½ï¿½ï¿½ï¿½ï¿½ï¿½ï¿½ï¿½ ï¿½Terrain Information Layersï¿½ are tools used by designers and artists to allow them to define a terrainï¿½s regional responses and behaviors based on a 2D bitmap created in Adobe Photoshop, much like the Scatter tool layers.ï¿½ They are designed as a ï¿½short cutï¿½ or ï¿½speed optimizationï¿½ around otherwise expensive game-side computations and also create a nice interface to allow visualization of localized environmental effects. Artists and designers literally ï¿½paintï¿½ areas of response on separate Photoshop layers and through appropriate naming of these layers, define how that layer will affect the in-game environment.ï¿½ Radiant also has a feature whereby the artist or designer can graphically preview these layers (a ï¿½PSDï¿½ file can be imported) in Radiantï¿½s ï¿½XY Mapï¿½ (The top-down view).ï¿½ Radiant also has the ability to convert a Photoshop ï¿½PSDï¿½ file into the MOHPA ï¿½TILï¿½ file format for use by an individual game level.ï¿½ The exported ï¿½TILï¿½ file will assume the name (and path) of the current Radiant map being edited. (IE: If one is editing and exporting ï¿½maps/5_5_foo.bspï¿½, then the ï¿½TILï¿½ exporter will create ï¿½maps/5_5_foo.TILï¿½).ï¿½ The behavior of the currently supported set of layers will be described next. ï¿½ï¿½ï¿½ï¿½ï¿½ï¿½ï¿½ï¿½ï¿½ï¿½ï¿½ This layer controls the distance of the far plane used for visibility culling of geometry in the game. It updates the far plane distance linearly and smoothly in a range defined by the key/value pairs of ï¿½auto_farplane_nearï¿½ and ï¿½auto_farplane_farï¿½. 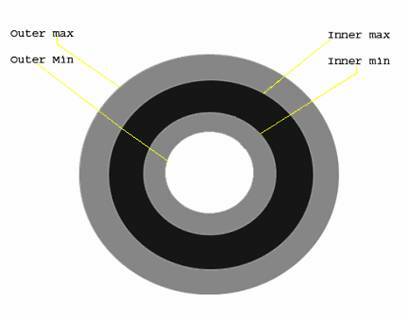 The information of the layer data is defined in the range from 0.0 to 1.0. A value of 0.0 is the ï¿½All-clearï¿½ (no opacity) attribute of a PSD layer pixel. A value from the layer near 0.0 will cause the in-game far plane to approach the value of the ï¿½auto_farplane_nearï¿½ setting. Similarly, a value of 1.0 is the ï¿½full brightï¿½ (full opacity) attribute of a PSD layer pixel.ï¿½ Layer values close to 1.0 will cause the in-game far plane distance to approach the value of the ï¿½auto_farplane_farï¿½ setting.ï¿½ All values from this layer will apply a far plane distance within the range of these two values. ï¿½ï¿½ï¿½ï¿½ï¿½ï¿½ï¿½ï¿½ï¿½ï¿½ï¿½ The values in the obfuscation layer serve to attenuate or ï¿½dumb downï¿½ an AI characterï¿½s ability to detect other AI characters and the player. The values in the obfuscation layer range from 0.0 (No obfuscationï¿½clear L.O.S.) to 1.0 (Complete concealmentï¿½minimal chance of detection). Calculations to determine ï¿½effective detectabilityï¿½ of an obfuscated character also consider the distance between the 2 characters.ï¿½ Characters farther away have a higher bias of obfuscation whereas closer characters gain less benefit from the values in the obfuscation layer. ï¿½ï¿½ï¿½ï¿½ï¿½ï¿½ï¿½ï¿½ï¿½ï¿½ï¿½ This means that when the player character traverses over any section of the particle-filter layer and the value at that location is ï¿½128ï¿½ (NOTE: This layer should be monochromatic), then the particle effect ï¿½a_particle_effectï¿½, will begin emitting. When the player character leaves this region, the effect will cease. Using different values for the TIK ï¿½particle_filterï¿½ directive, a set of up to 256 different effects can be varied throughout a landscape. Load - This allows the artist or designer to load any PSD file for viewing and exporting.ï¿½ The filename of the PSD file is not important as the TIL Exporter will use the map name with the ï¿½TILï¿½ extension when it creates the resultant output file. ï¿½Refreshï¿½- This option allows the designer or artist to quickly reload the current PSD file.ï¿½ It allows them to bypass the ï¿½Open Fileï¿½ dialog altogether. ï¿½Viewï¿½ - Selecting this option will produce a dropdown box containing the names of ALL the layers contained in the PSD file (Not just TIL layers).ï¿½ Selecting any of them will cause that layer to visually overlay in the ï¿½XY Mapï¿½ top-down map.ï¿½ Select the ï¿½noneï¿½ entry to suppress this overlay display. ï¿½Exportï¿½ - This option creates the output TIL file in the same directory as the BSP file. The resultant file will be of the same filename as the BSP file save for the BSP extension (It will have a ï¿½.TILï¿½ extension).ï¿½ This step is required if any changes to the PSD layer are to be propagated to the game. Note: Only layers with the ï¿½TIL_ï¿½ prefix and a valid layer name will be exported. The valid layer names to date are ï¿½auto_farplaneï¿½, ï¿½obfuscationï¿½, ï¿½particle_filterï¿½, and ï¿½contact_soundsï¿½. ï¿½Clearï¿½ - This option completely disassociates (unloads from memory) the current PSD file being used.ï¿½ï¿½ If the ï¿½Viewï¿½ option was used previously and is still active, the ï¿½XY Mapï¿½ overlay will disappear as well. ï¿½Doneï¿½ - This option hides the ï¿½Terrain Info Layerï¿½ dialog.ï¿½ It can be invoked again from the main menu by selecting ï¿½Misc->Info Layerï¿½. 2) Choose the settings for the ï¿½XY Mapï¿½ that will make it easiest to visualize the terrain from a top-down view (ï¿½Grid offï¿½, ï¿½TERin2Dï¿½ï¿½etc). 3) From the ï¿½fileï¿½ menu in Radiant, use the ï¿½Reference Snapshotï¿½ option. You will be prompted to save a TGA file containing an accurate full-map top-down image of your level. 4) Save this TGA image in your ï¿½map_sourceï¿½ folder and append the word ï¿½refï¿½ to the filename (For clarity).ï¿½ In this example, save it to ï¿½foo_ref.tgaï¿½. 6) Open the PSD file associated with your level (It is OK if it has ï¿½scatterï¿½ layers in it, these are ignored by the TIL exporter. 7) Create a new layer called ï¿½TIL_auto_farplaneï¿½.ï¿½ The ï¿½TIL_ï¿½ prefix is how the TIL exporter recognizes valid layers. 8) Paint an image on this layer (Do not ï¿½flattenï¿½ the image.ï¿½ Keep the layers insulated from each other). Save the PSD file. 9) In Radiant, find the ï¿½worldspawnï¿½ entity and set the key/value pairs for ï¿½auto_farplane_nearï¿½ and ï¿½auto_farplane_farï¿½ (optionalï¿½the defaults are 1000 near and 10000 far). 10) In Radiant on the main menu, select ï¿½Misc->Info Layersï¿½ and a dialog box will appear. 11) Select the ï¿½Loadï¿½ option and open the PSD file you have just edited. 12) Optionally, you can select the ï¿½Viewï¿½ option and a dropdown box will appear. Select the layer you wish to view (ï¿½TIL_auto_farplaneï¿½ is this example. ).ï¿½ You will an overlay of that layer on the ï¿½XY Mapï¿½ top-down window. Select ï¿½View->noneï¿½ to clear it again. 13) Press the ï¿½Exportï¿½ button. 14) Run MOHPA.EXE with your map.ï¿½ In this example using ï¿½foo.bspï¿½, you should see the far plane distance advance and recede accordingly. 1) The only PSD layers the TIL exporter will recognize are those with the prefix ï¿½TIL_ï¿½ and with a valid layer name.ï¿½ At the time of this writing, the valid layer names are ï¿½auto_farplaneï¿½, ï¿½obfuscationï¿½, ï¿½particle_filterï¿½, and ï¿½contact_soundsï¿½. 2) TIL files have can have a substantial memory footprint. This will be addressed as a memory optimization in the TIL exporter/reader. 3) All ï¿½scatterï¿½ information and TIL information can coexist safely in the PSD file. This method should be employed so as to reduce the number of source assets associated with any given level.